How do I publish a Moovly project ? 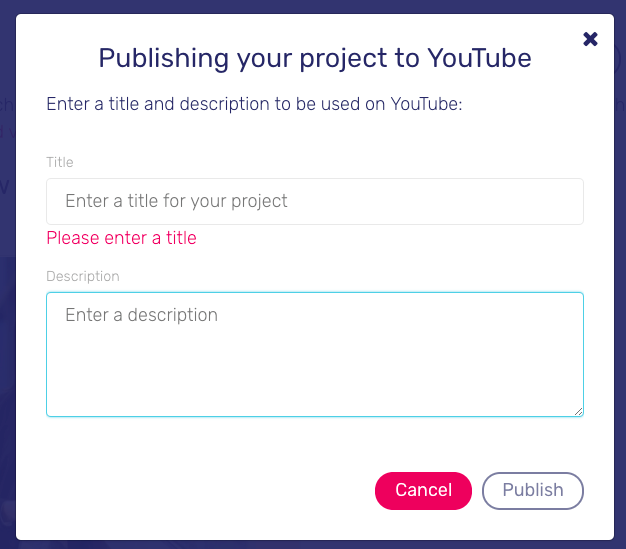 Publishing a Moovly project means that you make it available to your online audience via the Moovly Gallery or on your YouTube channel. If you don't have a YouTube channel, the Moovly Gallery is an excellent, free alternative. When publishing to the Moovly Gallery, your project will first be rendered to a video format. This may take a while, depending on the size and complexity of your content and the queue on Moovly's render servers. Please read the important note at the bottom of this page regarding copyright and publishing conditions. To be able to publish your video to YouTube, you should first of all have a YouTube account and a YouTube channel associated with it. Your project will first be rendered as a video. 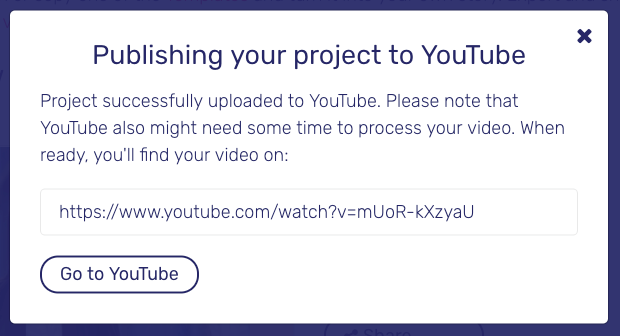 Please note that, depending on the render queue on Moovly's servers as well as the size and complexity of your content, this may take a while. If you would like to publish your Moovly video on other online video channels, you should first download it and manually upload it to your favorite video platform. Note: The Moovly Gallery is a public gallery, so your content will be visible to others. If you have accidentally published to the Moovly Gallery and wish to unpublish, you can do this yourself. Just click 'My Gallery', click the project thumbnail, and underneath the video player you see 'Unpublish'. By publishing your Moovly project to the public Moovly Gallery, you ensure that you possess the intellectual property rights of all uploaded media (sounds, images, video objects) used in your project. 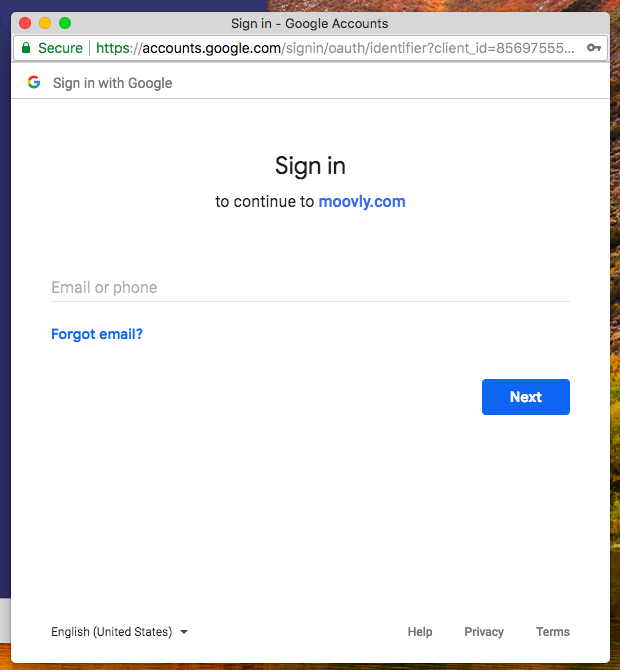 Moovly has the right to remove your project from the Moovly Gallery in case of copyright infringement or any other violation of the Terms & Conditions. Moovly also reserves the right to remove any incomplete, empty or other inappropriate videos from the Moovly Gallery.